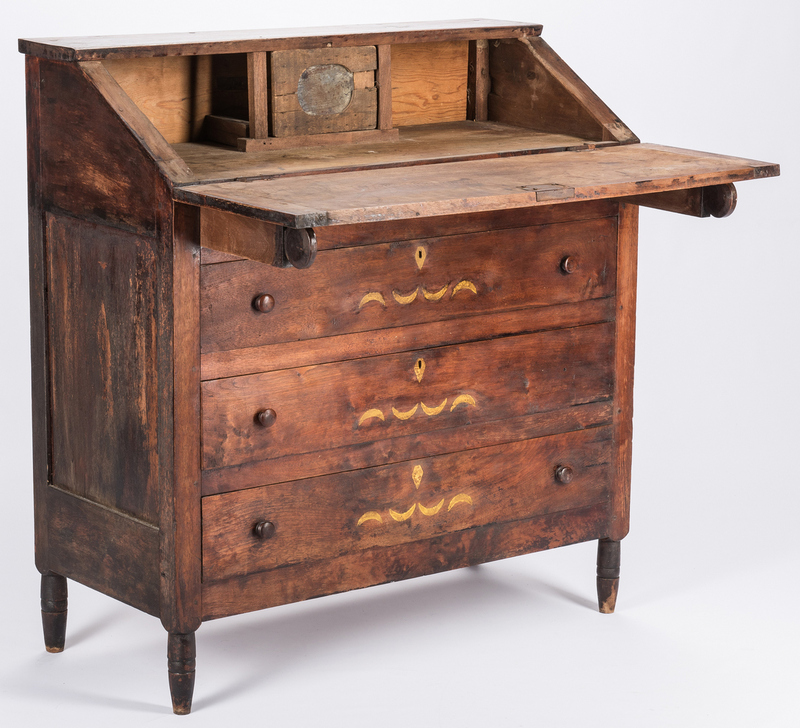 East Tennessee child's desk, walnut primary with poplar and yellow pine secondary. 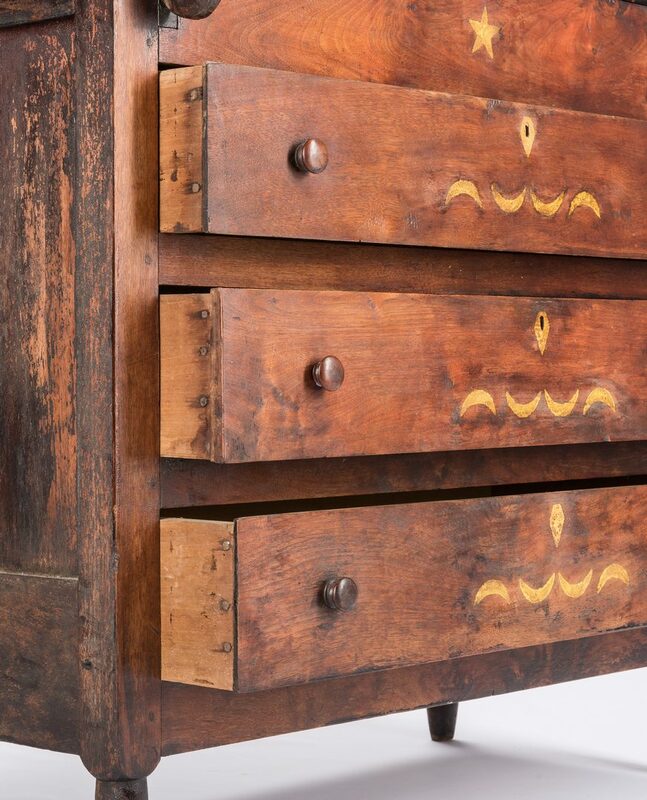 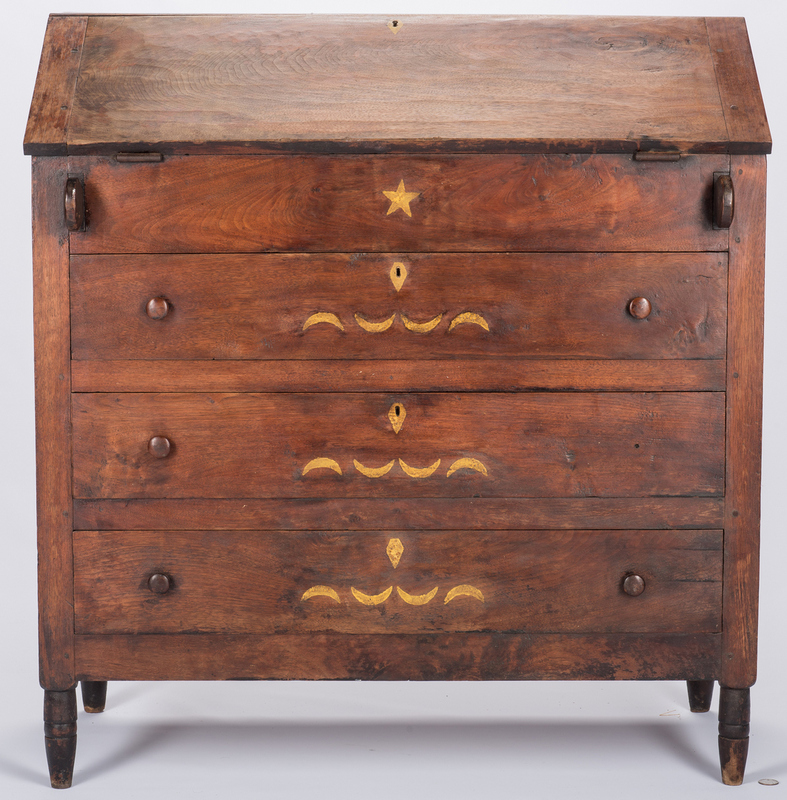 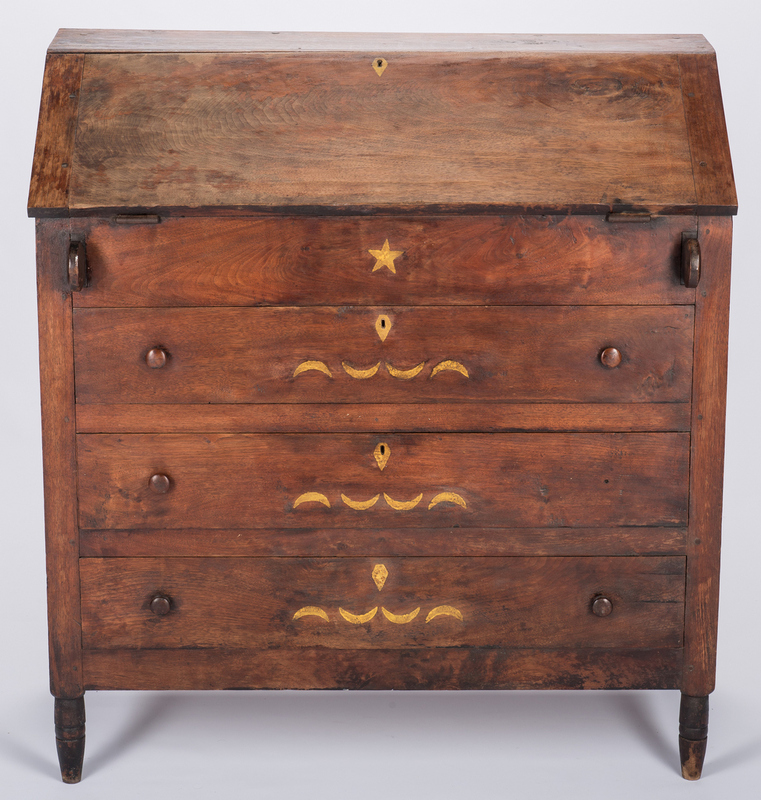 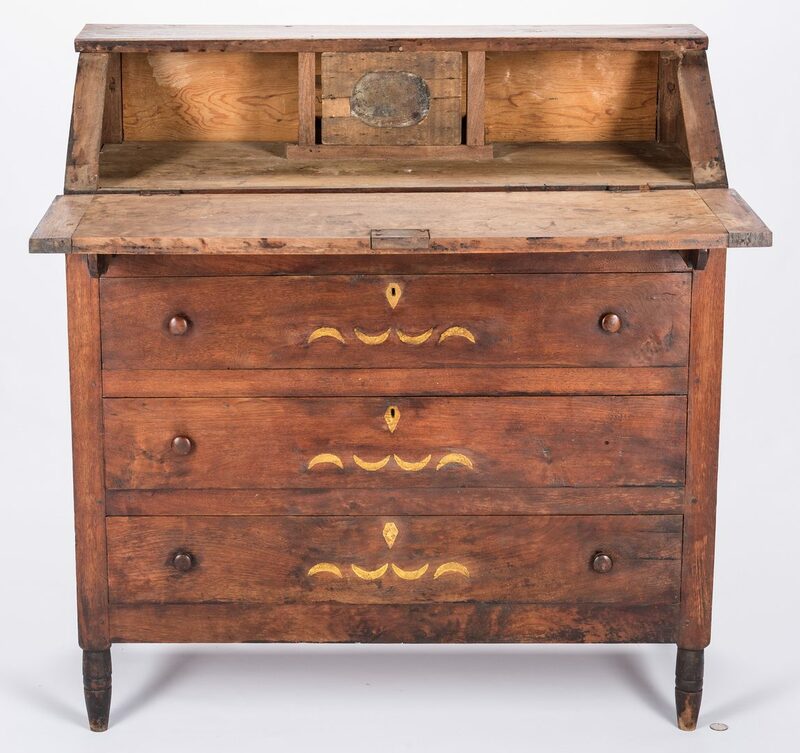 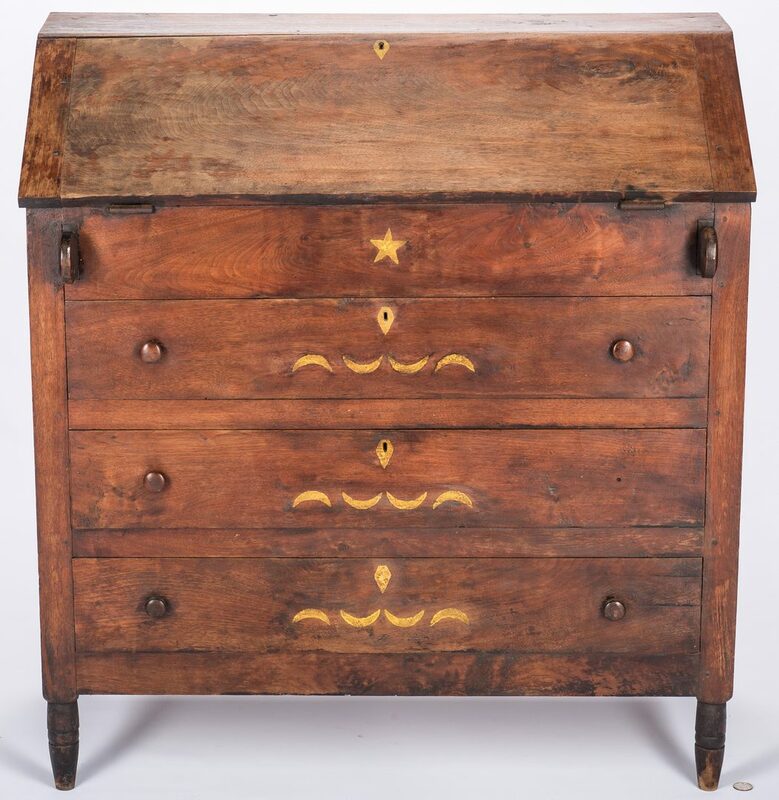 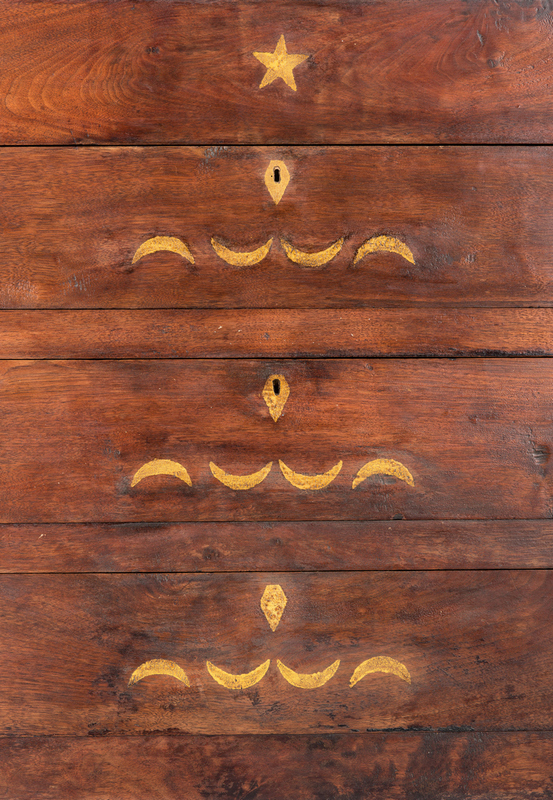 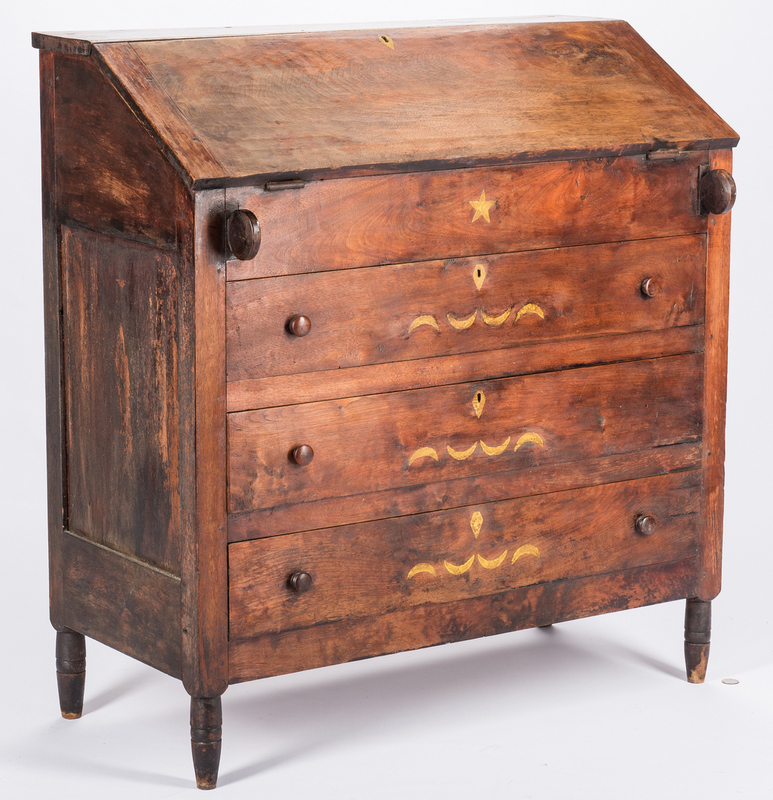 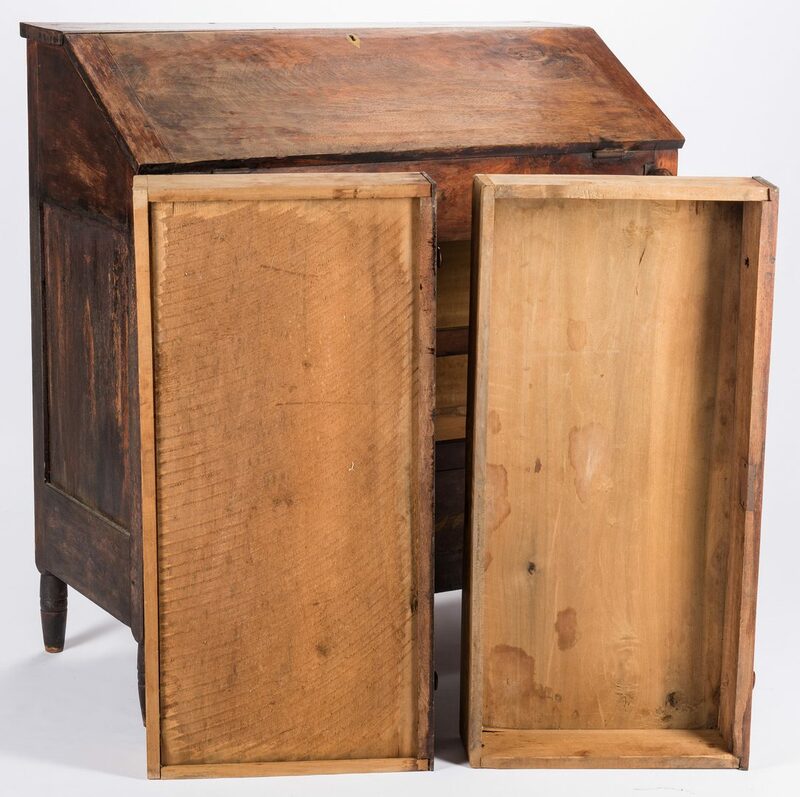 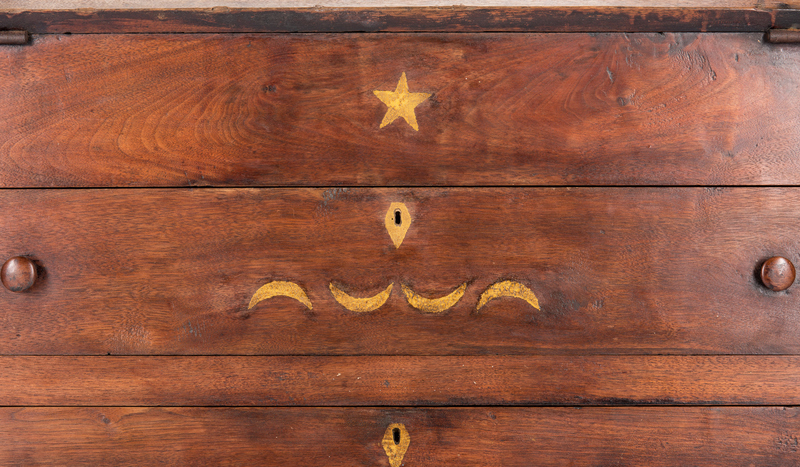 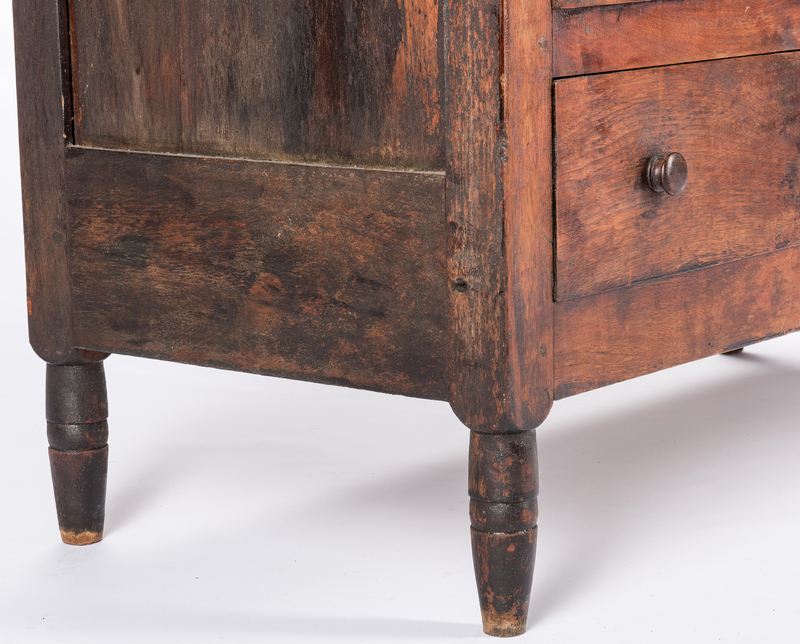 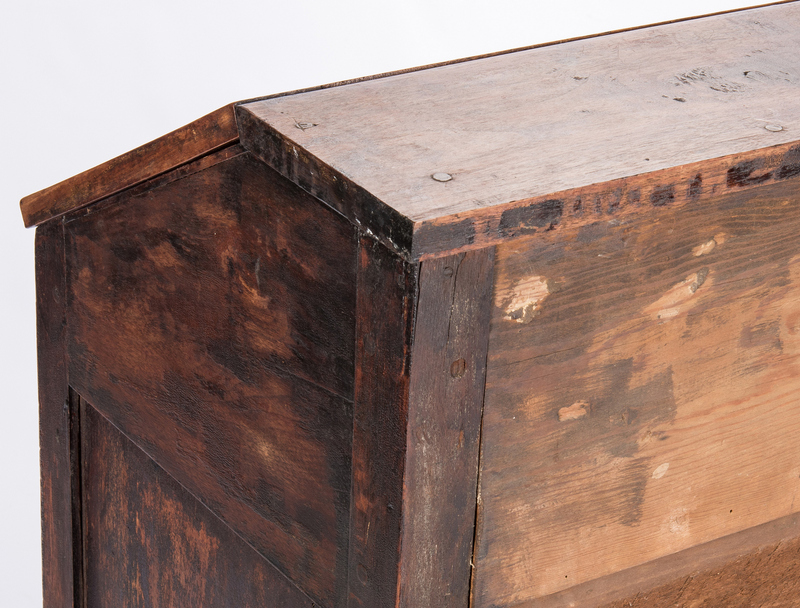 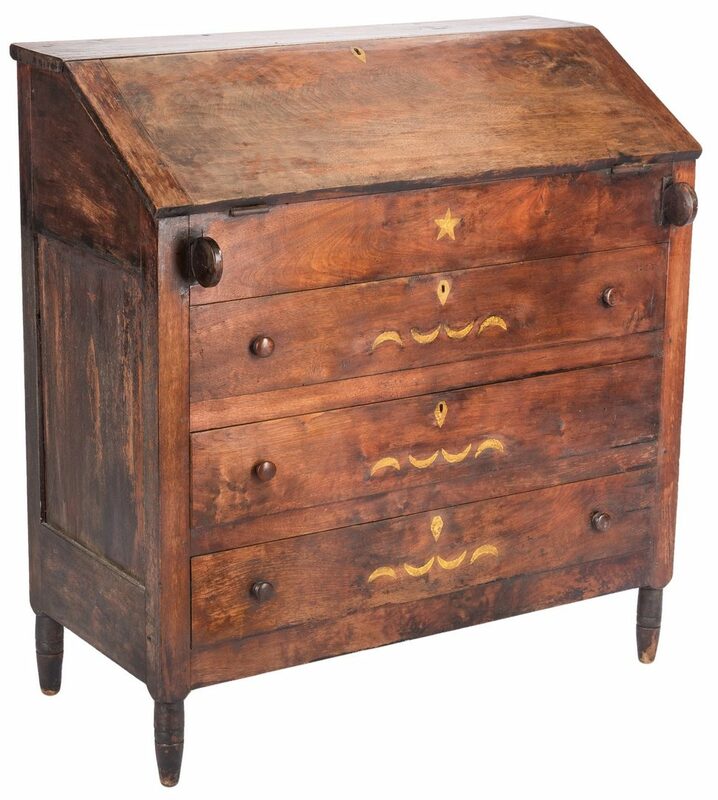 Rectangular top, slant front lid supported on lopers with "lollypop" circular ends, plain interior with primitive prospect section, hidden shelf below the desk interior, three full length drawers having wood knobs and yellow stencil painted star, diamond and crescent moon decoration to fronts; four short ring turned and tapered feet. 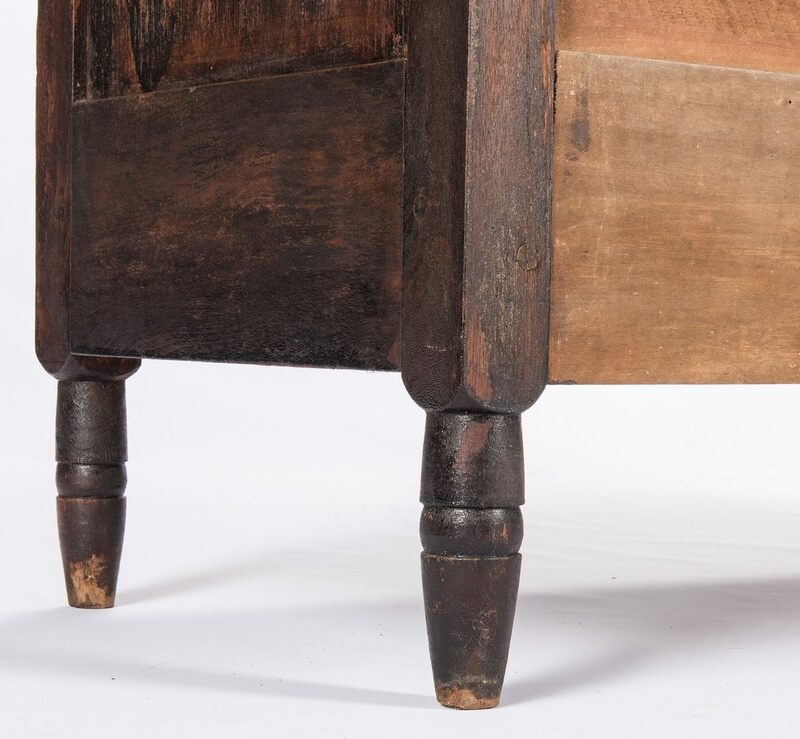 Square nail construction throughout. 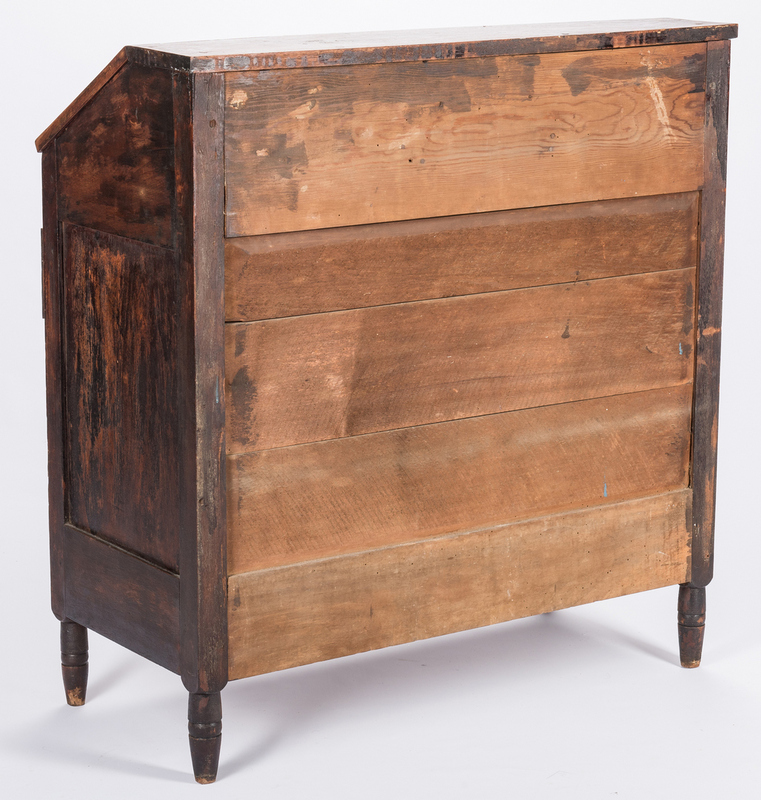 36" H x 34" W x 15 1/2" D. Found in the Boozy Creek area of Sullivan County, TN. 3rd Qtr. 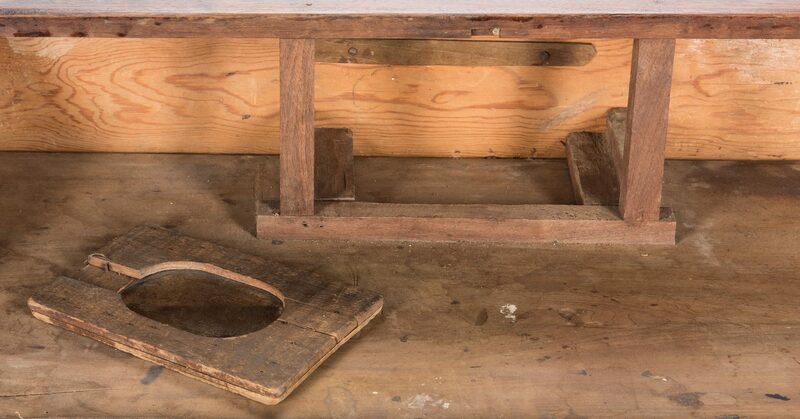 of the 19th century. 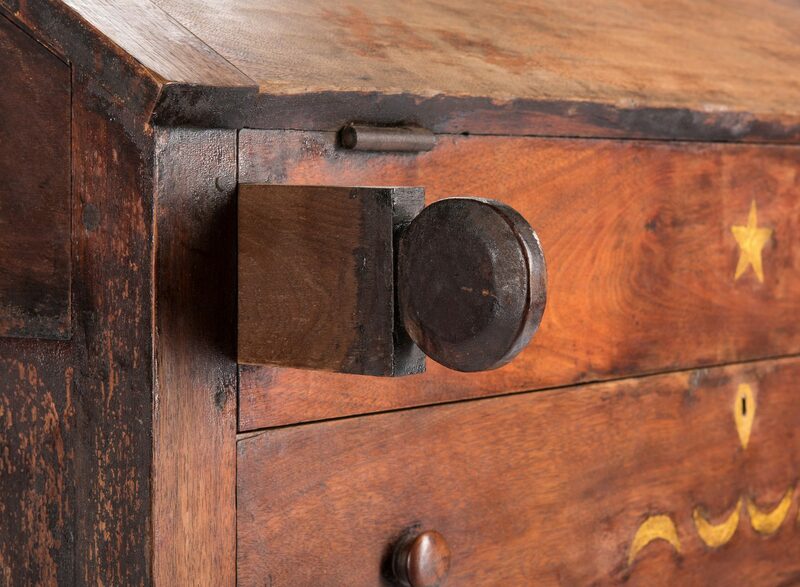 CONDITION: One drawer knob missing. 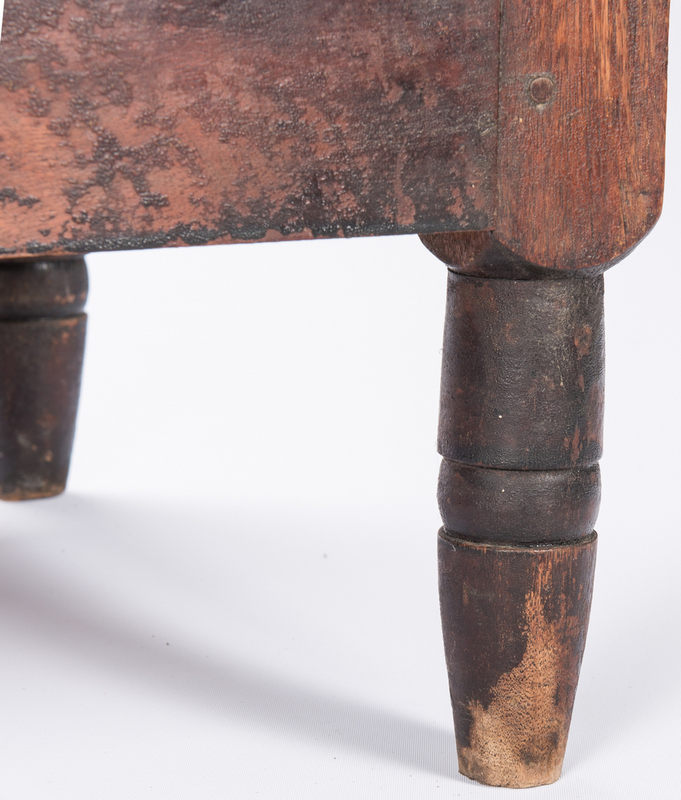 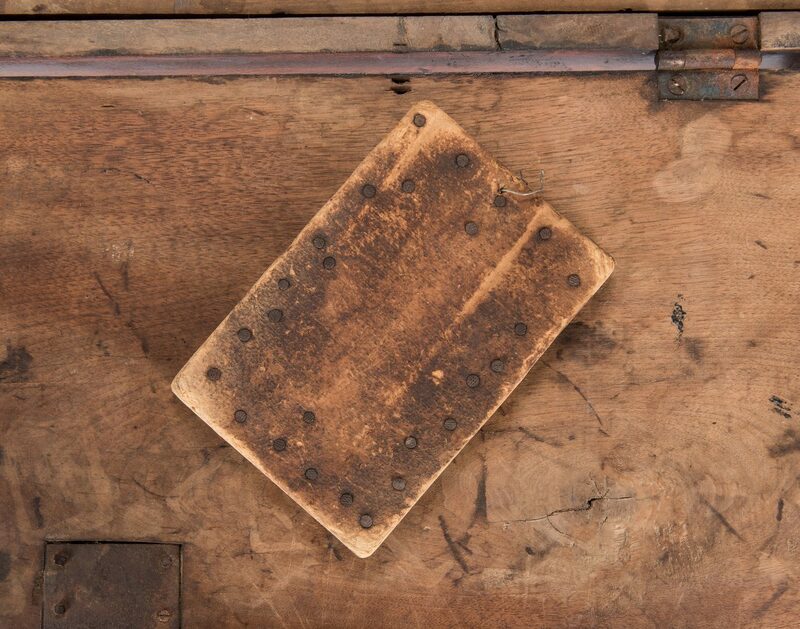 Uneven wear to varnish, especially to the fall front.